Anna Johanna Dorothea de Villiers was born on 24 December 1900 on the farm Saxenburg, Kuilsrivier. She matriculated from Girls High School Bloemhof, Stellenbosch in 1918 and studied at the universities of Stellenbosch (BA 1928, MA 1924 and HSOD, DLitt 1934), Gent and Leiden (post doctoral studies 1949). Title of her MA thesis: Die plaas van Guido Gezelle in de Vlaanmse letterkunde. Title of her doctoral thesis: Die Hollandse Taalbeweging in Suid-Afrika. 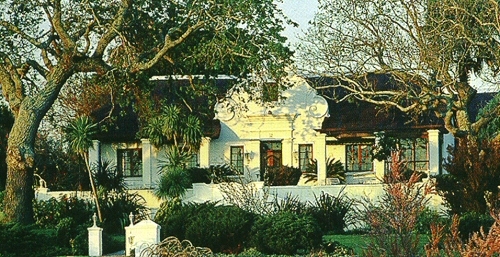 After her Masters degree, Anna taught at schools in Riversdale, Oudtshoorn and Wynberg. She also worked as assistant at the office of the Woordeboek van die Afrikaanse Taal (1927) and for three years as a translator at the census office in Pretoria. After she obtained her doctoral degree, she joined the Technical College in Pretoria as lecturer in Afrikaans and, in 1939, the University of Pretoria to lecture on Cultural History. In 1940 she she was offered the position of Head of the Huguenot University College in Wellington - the first woman to hold such a position in South Africa. After ten years she re-joined the office of the Woordeboek van die Afrikaanse Taal as a co-editor here she remained until her retirement in 1966. 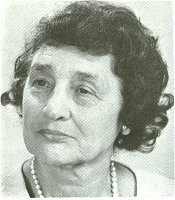 Anna J. D. de Villiers died on 1 November 1979 in Stellenbosch. Member of the Suid-Afrikaanse Akademie vir Wetenskap en Kuns (1943) and of the Maatschappij der Dutche Letterkunde te Leiden (1951). I need a better photo, please!